Looking for a very different corporate team building event? We all know that team building events are good for the business, teams and individuals. Are you looking for something very different that can bring your team together in a very different way? Read on. Why not consider an English Channel Relay? It really is a life-changing experience for all involved, both in the team and those who follow from the shore. The investment is one that repays in so many tangible and intangible ways. Improved employee engagement & satisfaction. Are you looking to make your next step change? Perhaps you feel a bit stuck and need a little boost. Do you have some unhelpful beliefs that are holding you back? Does all this apply to someone in your team? It’s worth considering executive coaching. This would be completely tailored to your requirements. You bring your hopes, dreams, desires and an open mind. I’ll bring my 30 years of experience in a variety of roles in public sector, mid-sized companies and FTSE 10 companies and blend this with my NLP coaching and together we can build a plan. What’s involved in an English Channel Relay? The English Channel is a 21 mile stretch of water that separates England and France. Whilst not the most difficult swim in the world, it is without a doubt the most iconic. The shortest distance in a straight line from England to France is 21 miles. The tides mean that you don’t swim it in a straight line. There are many variables to contend with which make this unlike any other challenge you will take on. In fact, no two channel swims are even the same. 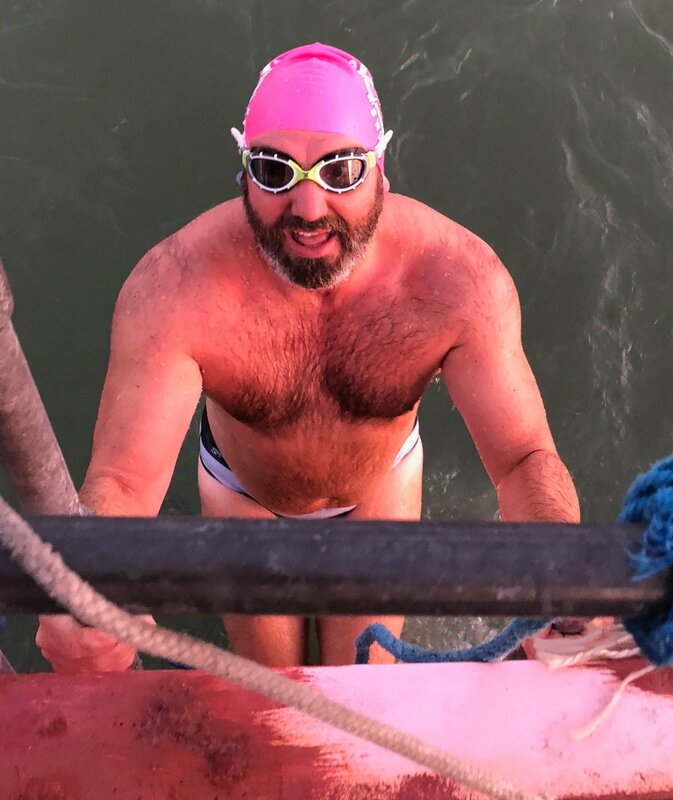 For roughly six hours the tide will take the swimmer 'up' the Channel, and then as the tide changes direction, the following six hours will take the swimmer 'down' the Channel. The strength of tide varies, as does the weather. 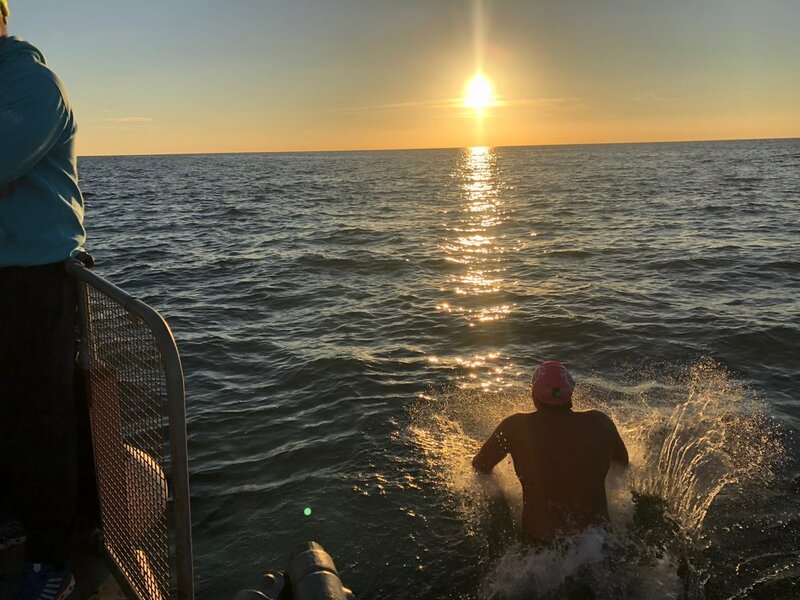 Unlike most events when you know exactly when and where the event will start, that is not true of a channel swim where you need to wait for the right conditions. A relay is typically comprised of 6 swimmers. Each swimmer swims for an hour at a time and the team rotates round in strict order until the swim is complete. 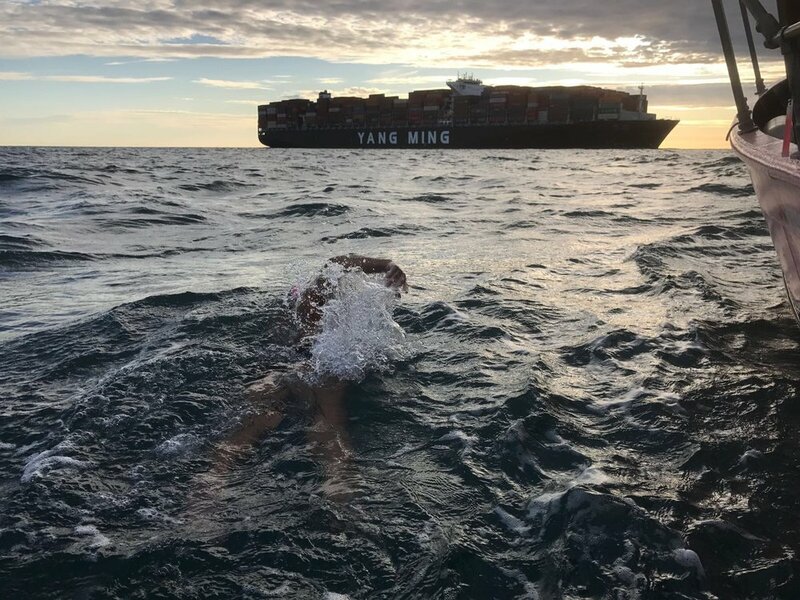 You’ll swim beside a pilot boat who will take care of the navigation and ensure you are safe whilst crossing the busiest shipping lanes in the world. 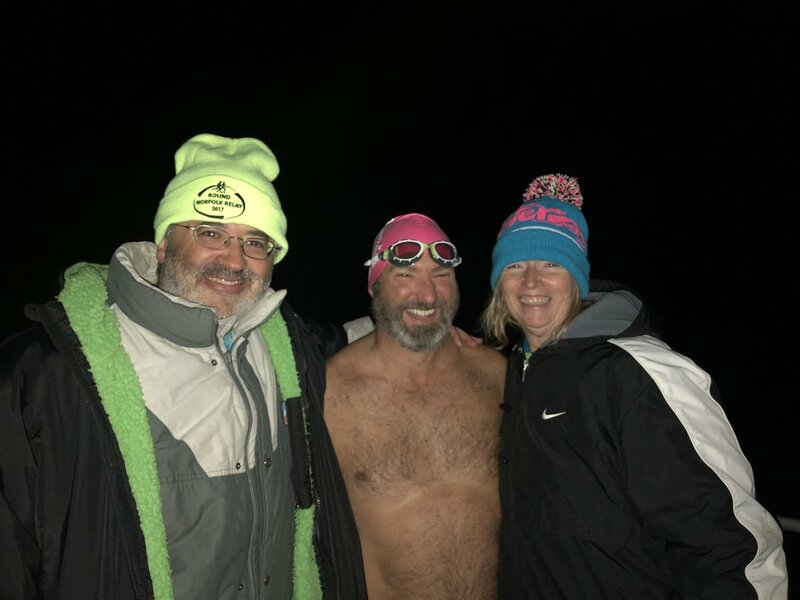 You should expect to complete some of the swim in the dark. The swim season is typically July - September. There are a limited number of slots available and swims can get booked up a few years in advance (though I can help you find slots in a shorter time frame as well). This gives plenty of time for planning and preparation. This is a significant challenge, and is not the right challenge for a weak swimmer. That doesn’t mean that you need to be an olympic champion either! A competent swimmer who is willing to train and prepare is well placed to take on this challenge. There are qualifying criteria which I can help you navigate. These include undergoing a medical assessment by a doctor and completing a 2 hour qualifying swim in water below 16C. The swim takes place with the swimmers wearing only a traditional swimming costume, one swimming cap, goggles and earplugs. NB As with any extreme sport there are risks. 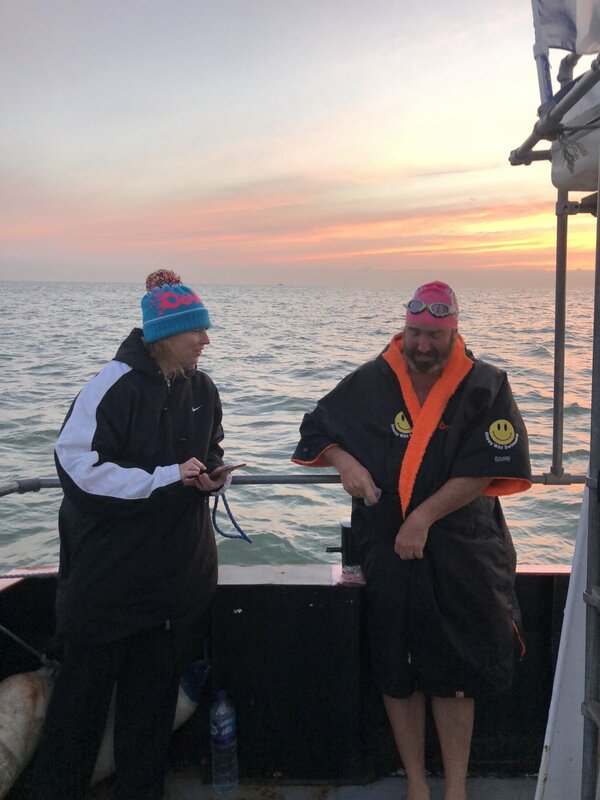 The main risks associated with Channel Swimming include: hypothermia, inadequate training, overconfidence, inexperience, inadequate preparation and a lack of understanding of the challenge being undertaken.